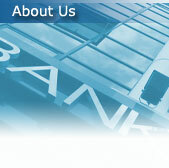 Peoples State Bank has been serving the Blair community since 1952. Our bank provides all the services offered by the larger banks but with the home town personal service that only a community bank can offer. We also have a branch located in Lawton that offers the same personal service banking. We not only welcome you by name, offer you a cup of coffee when you walk in the door but many times know your account number by heart.